One of the most perplexing questions in the craft beer world today has to do with where flavors are headed. This is an ongoing discussion that is to some extent driven by the nearly complete breakdown of style guidelines. There are no more rules. The floodgates have opened. What this means in practical terms is we see countless cases of styles merging with or borrowing from other styles to create something new. Anything goes. The mindset produces Belgian IPAs, sour and wild IPAs, barrel-aged avocado stouts and so on. Some of these beers can certainly be classified as "extreme," although that term is not universally accepted within the industry. To me, an extreme beer is one that leans heavily on one or more dramatic flavor profiles. Super hoppy, wildly sour, aggressively fruity, overly boozy or combinations of these fall into what I consider to be extreme beers. They are very far removed from the style guidelines of yesteryear. Part of what drives the demand for extreme beers is boredom with traditional styles, particularly among younger drinkers. It's instructive to note that we've been drinking traditional craft styles for well over a generation now. Many folks are ready to move on to something a little more stimulating. They actively seek alternative flavors and makeshift styles that zing their taste buds. Tradition means next to nothing. By the way, beer isn't the only thing wrapped up in this movement. We're seeing it with food, coffee and drinks of all kinds. Many established standards are passe. Across the board, we're seeing a cross-section of folks who are bored with the status quo and actively chasing new flavors. 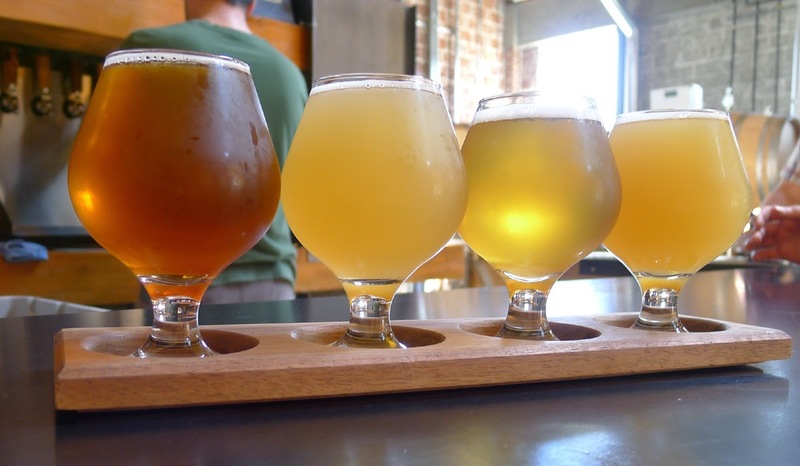 Plenty of brewers are perfectly happy to serve these evolving tastes. 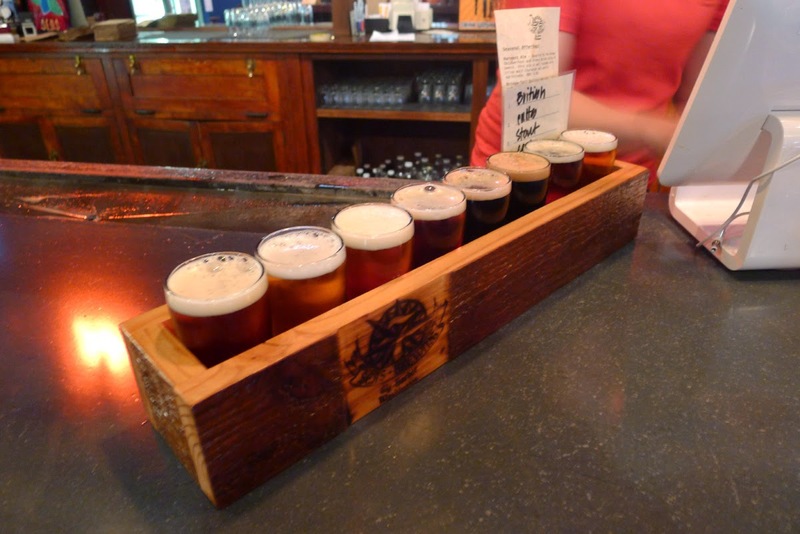 Just as fans have become bored with traditional styles, so have many brewers. They love the chance to experiment with provocative ingredients and techniques. Innovation is fun. Creating unique brews has become a sort of competition to see who can create the wackiest beers. There's another important factor at work here. Very few brewers are opting out of the extreme craze. Full Sail, as noted in Monday's post, officially refuses to chase trendy brews. They aren't alone, but they are in the minority. I honestly suspect fear of not joining the movement drives many. Brewers simply do not want to appear to be out of touch with current trends. The question remains: Where is this headed? Many assume the trend toward wackier and more extreme flavors and combinations of styles and flavors is an endless continuum. I think that's a sketchy argument, but I realize everyone needs and is entitled to an opinion. Historical perspective may provide the most instructive context in which to view current trends. In particular, everyone needs to understand the craft beer movement evolved out of a paradigm shift in tastes embraced initially by the baby boom generation, which sought higher quality foods and drinks with richer flavors. It's important to note that shift was largely a rejection of the tastes of the prior generation. Baby boomers grew up on a diet dominated by light, flavorless, prepackaged foods and drinks. That was the preference of their parents, itself a rejection of the tastes of a prior generation. Baby boomers came to want something different, something better. Craft beer became part of that. Generational shifts in taste are not new. Just as baby boomers rejected earlier tastes, younger Americans today are rejecting the tastes and preferences of their forebears in a number of ways, one of which is beer. So we see the abandonment of traditional styles in favor of beers that are effectively experimental and very often extreme. It makes some sense. At some point, there will be another paradigm shift in tastes, a rejection of the existing norm. When it will happen and what the shift will look like we do not know. But it will happen, sure as the sun will rise and set tomorrow. Because history, almost everyone knows, is not bunk. I would guess that lighter beers with subtle flavors will be the next trend in craft beer. I suspect - after the Big-IPA craze, followed by sours (which we are still IN, and - for the record - I am very pleased by as well) - we will start seeing more great Kolsches, Pilseners and Hefes...We can already see sours tapering off with Berlinerweiss and gose, (delicious), generally less bold and more subtle. That is...for the Pacific NW. In other parts of the country (and world), they have yet to even discover craft beer, let alone imperial IPAs or sours. Meanwhile, other places are the center of "fashion" and trends, and Portland - as far as craft beer is concerned - is one of those places right now. Aren't we lucky? Portland is most certainly an outlier. It's hard to say what the next trend will be here or anywhere. I suspect our extreme beer fad will eventually fade and be replaced by a preference for lighter, but still flavor-filled styles. For that to happen, the culture of beer as entertainment will have to slow down. I think that will eventually happen; I have no idea when.